Spatial separation of metabolic stages in anaerobic digesters can increase the methane content of biogas, as realized in a tube anaerobic baffled reactor. Here, we investigated the performance and microbial community dynamics of a laboratory-scale mesophilic anaerobic baffled reactor with four compartments treating an artificial substrate. Due to the activity of fermentative bacteria, organic acids mostly accumulated in the initial compartments. The methane content of the biogas increased while hydrogen levels decreased along the compartments. 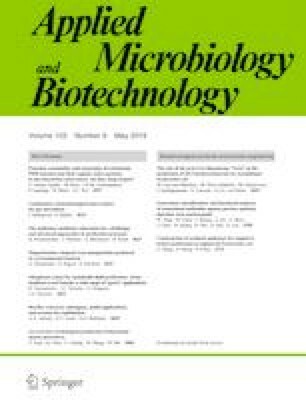 Microbial communities were investigated based on bacterial 16S rRNA genes, hydA genes encoding Fe–Fe-hydrogenases, and mcrA genes/transcripts encoding the methyl-CoM reductase. The metaproteome was analyzed to identify active metabolic pathways. During the reactor operation, Clostridia and Bacilli became most abundant in the first compartment. Later compartments were dominated by Sphingobacteriia, Deltaproteobacteria, Clostridia, Bacteroidia, Synergistia, Anaerolineae, Spirochaetes, vadinHA17, and W5 classes. Methanogenic communities were represented by Methanomicrobiales, Methanobacteriaceae, Methanosaeta, and Methanosarcina in the last compartments. Analysis of hydA and mcrA genes and metaproteome data confirmed the spatial separation of metabolic stages. In the first compartment, proteins of carbohydrate transport and metabolism were most abundant. Proteins assigned to coenzyme metabolism and transport as well as energy conservation dominated in the other compartments. Our study demonstrates how the spatial separation of metabolic stages by reactor design is underpinned by the adaptation of the microbial community to different niches. The online version of this article ( https://doi.org/10.1007/s00253-019-09767-2) contains supplementary material, which is available to authorized users. The authors wish to thank Ute Lohse for technical support in amplicon sequencing. This study was funded by the Russian Foundation for Basic Research (Grant No. 16-34-60093 mol_a_dk and Grant No. 18-29-25058 awarded to AMZ).